DPAA, the leading global organization for everything digital out-of-home, announced this week that Starlite Digital has joined its membership ranks. Starlite Digital has begun rolling out what will be a national network of intelligent digital video screens strategically located at high traffic outdoor shopping centers, anchored with supermarkets, big box retailers and drug stores. Capitalizing on the close relationships built with these sectors by Starlite Digital’s sister company, Starlite Media, Starlite Digital’s market launch was in New York, where the channel is generating more than 40 million verified monthly impressions. 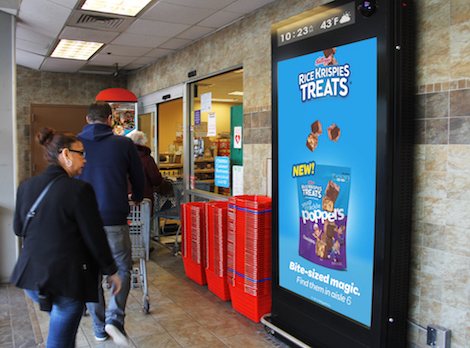 This entry was posted on Thursday, March 21st, 2019 at 14:19 @638 and is filed under DailyDOOH Update. You can follow any responses to this entry through the RSS 2.0 feed. You can leave a response, or trackback from your own site.